What happens when a large pharmaceutical packaging company that usually prepares hundreds of thousands of doses of mature drug products for shipments to commercial distributors needs to prepare a small batch run of product – say, 500 or 1000 doses for a clinical trial? Do they simply borrow one of their high-speed lines for an hour or two? Probably not. There are major differences between the highly automated, high volume approaches versus those employed by short run, manually based operations. 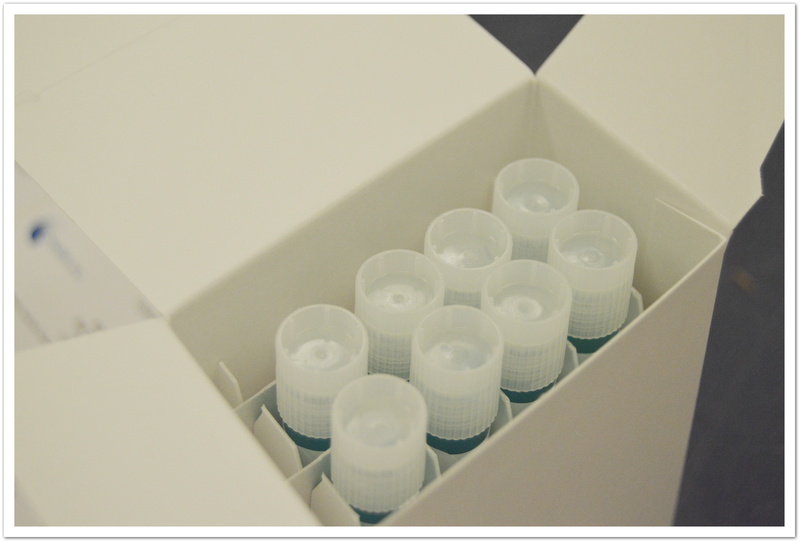 Preparation of the final, outgoing product consists of gathering and assembling several components for the kit for each dose, which is for the most part accomplished by hand. Whatever is in that kit is either what that patient is going to see, or what the clinician is going to have available to administer the product. How does one make sure that it is correct? In a manual operation at a short run facility, there is not a lot of automated quality assurance. However, the required outcome is no different than it would be for a big commercial batch. The issue then is: how does one achieve that same level of quality at the endpoint for a small batch drug kitting process without the automation used in the high volume lines? In addition to the drug product, a kit might include a diluent vial, or a buffer packet, or a syringe. It may also include a package insert – the printed material mandated by the FDA for commercial products – that provides relevant information for patients and physicians. The kitted product is the sum of all the parts – everything that is necessary to dose a patient. If there are two of some component of which there should only be one, or if something is missing, we’ve failed. Typically, the most expensive component in the kit is the active ingredient – the drug itself. But a failure represents more than just an expense. An incorrectly kitted product can have other significant and detrimental implications. It may mean the clinician cannot administer the product. A patient being treated for a serious disease, who may have traveled a long way to receive treatment, has to be sent home untreated. The clinical trial schedule can be thrown off. If there is a discrepancy with the labeling, such that there is concern over identity or potential mix-ups, the entire production batch is jeopardized. So the stakes are high, even for small runs. Many products shipped to a clinical trial site are to some extent kitted – packaged to meet the specific needs of a clinic running a specific trial of a known population size and dosage requirement. For example, if the clinic is going to treat eight patients, and each is going to be seen twice, that’s 16 kits. The clinician needs to pull the kit off the shelf and have everything there, ready to go, minimizing the chance the clinician can introduce their own variability that might skew the data. And the kit has to be designed to protect the components from being lost once the package is opened, without being cumbersome to open and use. On a high-speed production line, the various components of the kit can be added through some means of automation with built-in verifications. When that is finished, the package will run across a load cell, be weighed against some expected range, and if the weight is high or low, the item is rejected. In a manual operation, typical of short run facilities, there is not a lot of automated quality assurance. If we say we have “200% verification,” what that typically means is that two individuals have looked at the kitted item and agreed that it is correctly packaged. There are some small-scale QA automation solutions. If one knows what the weight range for a correctly kitted product is, one can put it on a balance and verify it that way. Minor variances will be experienced – a paper insert might weigh 2.25-2.35g – so a range can be determined by weighing some multiple of each item in the kit – perhaps 10 or 20 each – and then dividing by the quantity to get an average weight. The sum of the average weights becomes the target weight. Then the lightest-weight component can be used to establish an acceptable tolerance. Armed with such data, an expected kit weight range can be programmed into balances that can distinguish whether the kit falls within the acceptable range. The balance can return a pleasant chime or green light for an acceptable unit, and an alarm or red light for one that is out of range. This is preferential to a strictly numerical readout, as a packaging operator may become ineffective in reading the balance display after watching hundreds or thousands of units get weighed. If there is an issue during check weighing, the operator has time to pull the item from the line before it goes into a larger shipping container. The unit can be manually checked to see what’s missing or what’s duplicated; it can be repacked and sent across the line for rechecking. Weight is a convenient check, but it is only one of several. In a short run production environment, skilled operators are still needed to perform visual checks, such as whether components are physically intact. Simple and readily available barcode verification equipment is useful for ensuring only the appropriate items – especially printed materials – are used in a kitting operation. Pharmacode has been a standard in the industry for a very long time. In addition, there is a reconciliation step at the end of the run. If a total of 500 drug containers were moved into the packaging area at the start of the production run, then at the end of the run, the operators must be able to account for all 500 of them – e.g., 495 finished kits, three vials sampled, two rejected. With small quantity batches, the batch must be fully reconciled. There are no “extra” vials, and none have gone missing. Reconciliation is critical to ensuring that every item with which the run started ended up where it belonged. There are countless ways that variability can creep into the production process for packaged drugs. For small batches, there are fewer opportunities to leverage automation than in large-scale packaging, but well-crafted Standard Operating Procedures, effective training, and supporting instrumentation can produce reliable, repeatable processes that ensure patient safety and excellent compliance in the clinic. Visit the Production Services section of our website to learn more about our capabilities and approach to labeling, packaging, and kitting. Note: BioConvergence announced a major initiative that includes a transition to a new name, SingotaTM Solutions, and an expansion of its services. This reflects the company’s continued growth as a Contract Development and Manufacturing Organization (CDMO) and its commitment to accelerating the drug development process. Brent has 24 years of pharmaceutical industry experience, spanning from API manufacture through final drug product packaging, in operations ranging from small clinical to large commercial scale production. His roles in multiple startups have included regulatory submission preparation, technology transfer, equipment expertise, process optimization, process investigations, and both regulatory and client inspections. Prior to joining BioConvergence in 2013, Brent was the Director of Manufacturing at a large parenteral formulation/fill/finish facility. Brent received his Bachelor of Science from Pepperdine University.